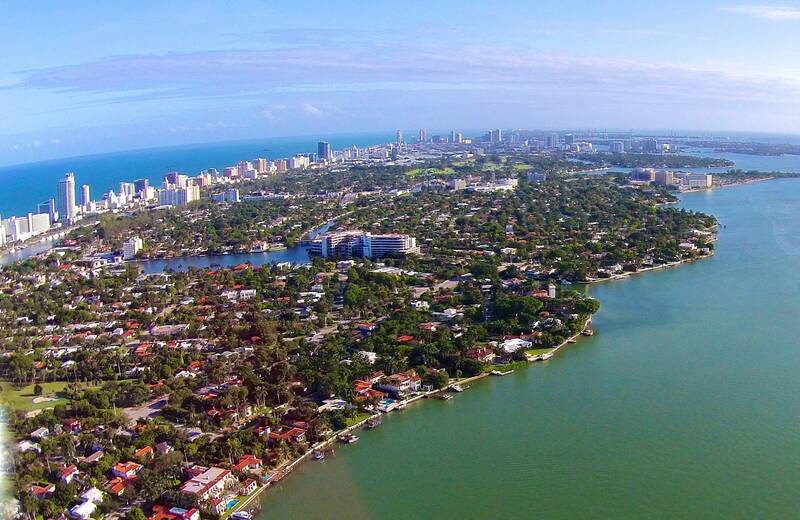 The Lakeview area is located between 48 Street and 51 terrace and is one of the most sought after family-friendly neighborhoods in all of Miami Beach. There are 36 waterfront homes and 171 non-waterfront homes. One of the nicest parks in all of Mid Beach, Carl Fisher Park, is located in Lakeview. The park features a playground for smaller children as well as a large open field for playing ball, tag, and relaxing under one of the many shade trees. Lakeview is buffered between Alton Road and Pinetree Dr. and has very little traffic or noise. The streets welcome bike riding, jogging, dog-walking, and holding easy conversations with your neighbors. The highlight of the year is Halloween night. Lakeview does it big on October 31, and everyone is welcome as the streets fill up with kids in costumes, parents socializing with other parents, and neighbors giving out candy. The location makes it easy to access to just about anywhere, whether it’s getting around the Beach or jumping on the highway. If you are interested in buying, selling or renting in Lakeview, contact me at 305-674-4022 or Esther@EstherPercal.com.